The Kings of the Castle against the Dirty Rascals. If we promoted NHL hockey like a pro wrestling event, that's how we should bill Tuesday's game at the Saddledome between Los Angeles and Calgary. The game sets up to be quite a contrast. The Kings come to town as a collection of studious greybeards when compared to the exuberant youth that make up the nucleus of the Flames. Los Angeles is the team standing at the front door in plaid shorts with socks in sandals, wagging a finger at Calgary and telling them to get off the lawn. What I'm referring to specifically is how differently the two teams are currently constructed. As of this morning, the Flames are No. 1 in the league with 90 goals from players born in the year 1993 or later. With Calgary, as a team, ranking a respectable 10th in league scoring with 216 goals, that means a whopping 42 percent of the team's production has come from players age 22 or younger. On the flipside, Los Angeles has zero goals from that age bracket. In fact, they have not even dressed one player this season, who was born in 1993 or later. The Kings line-up is not without rookies. On the roster at the moment are first-year players LW Andy Andreoff (6 goals) and C Nic Dowd (0 goals). But Andreoff turns 25 next month and Dowd, who also has a birthday in May, will be 26. In Hollywood-speak, you would view them as extras where in Calgary, the young players are the stars. The contributions Calgary is getting from its young players have been nothing short of staggering. 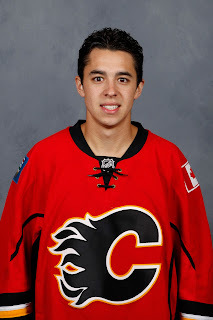 Johnny Gaudreau (30), Sean Monahan (27), Sam Bennett (17) and Dougie Hamilton (11) are all in double digits for goals and not one has had a birthday cake with 23 candles on it yet. Those are four primary contributors, who are quickly establishing themselves as the foundation of this team not just in the future, but right now too. The next best team to the Flames in terms of youth contribution and the only other club that is even close is the Florida Panthers with 85 goals generated from that same age bracket. They have been led by Jonathan Huberdeau (19 goals), Vincent Trochek (25), Aleksander Barkov (26) and Aaron Ekblad (14). Optimistically if you're a Flames fan and well aware that the Panthers have a 44-25-9 record and are first in the Atlantic Division, that young Florida core features the exact same positional breakdown as Calgary. The group of four is made up of a left-winger (Huberdeau), two centers (Barkov, Trocheck) and a defenceman (Ekblad). Interesting, huh. Go ahead and put that in the old 'things that make you go hmm' machine and give the handle a crank. Here is the complete list of 30 teams, breaking down the number of goals produced by players with a 1993 (or more recent) year of birth. Included in brackets is the team's total goals on the season as well as the percentage of the production that has come from players 22-and-under. One thing that doesn't necessarily surprise but does pop out is of the top 12 teams, only three are playoff teams. In addition to Florida, There's Nashville (8th) led primarily by Filip Forsberg (31 goals) but with youngsters Viktor Arvidsson (8), Miikka Salomaki (4) also contributing. Then there's Tampa Bay (10th) with Nikita Kucherov (30) leading the way and Cedric Paquette (5) also chipping in. Jonathan Drouin (2) also fits the bill. What you don't want to be is New Jersey, who have the dubious distinction of being the only team in the bottom 10 of this list that is not bound for the playoffs. At face value, it would suggest the immediate future isn't all that bright for the Devils. With his 30th goal in Saturday night's 5-0 rout of the Edmonton Oilers, Gaudreau duplicated an accomplishment Monahan pulled off in his first two years in the NHL and it's a rare feat. Both players have opened their career with a 20-goal rookie season followed by a 30-goal sophomore season. 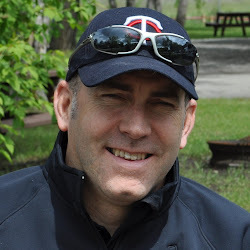 Since the Flames moved to Calgary in 1980, that had only happened three previous times. Members of that exclusive club being Joe Nieuwendyk, Hakan Loob and Sergei Makarov. 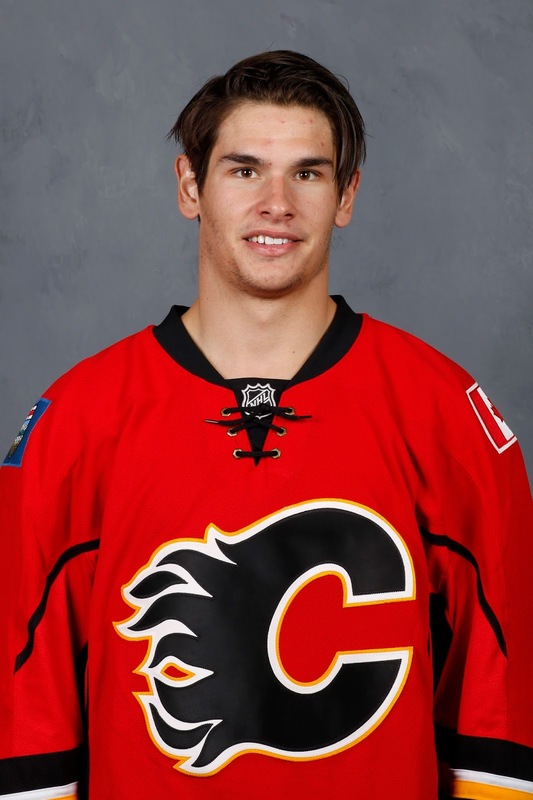 Another impressive angle to this is Monahan is the only player on the list that broke into the NHL as a teenager. For this year, it's worth noting that Sam Bennett is at 17 goals. While it will be tough, if he can bury three more this final week to finish with 20 in his rookie season, he would put himself in a position to pull off that same feat. Should it happen, it would be foolish to bet against him as a 20-year-old next season considering we know how talented the 2014 fourth overall pick is. The 20-30 start to a career gets even more impressive when you realize that across the league, it has only been accomplished a dozen times going back to the 2004-05 lockout. Twelve times in 12 years. It's not as common as you might think. Noticeably absent from the list are renowned snipers like Patrick Kane, John Tavares, Jamie Benn, Tyler Seguin and Corey Perry. I will point out that Taylor Hall surely would have made the list also but injuries limited him to 61 games and 27 goals as a sophomore (after scoring 22 times as a rookie). That said, an ability to stay healthy is also part of the achievement. Again, whittle down the list to players that broke into the league as a teenager and only five names remain: Monahan, Steven Stamkos, Jonathan Toews, Anze Kopitar and Sidney Crosby. How's that for company. What more can you say other than wow! At 27 goals with just three games remaining, Monahan could fall shy of 30 this season but at the same time, his overall offensive game continues to improve -- specifically his play-making. As testament to that, since play resumed over two months ago after the NHL all-star break, Monahan is tied with Connor McDavid for third in NHL scoring. A couple of things stand out about this group of five players. First, they're all Canadian-born players. So for those of you filled with angst about no Canadian teams in the playoffs for the first time since 1970, Canadian-born players are still very much thriving. Secondly, three of the five do play for Canadian teams. So while fans are caught up with hoping the Flames, Oilers and Jets improve their draft lottery positioning, there are some talented young players on those teams that are putting up a ton of offence lately and making a pretty serious statement that they are already elite players in the league. 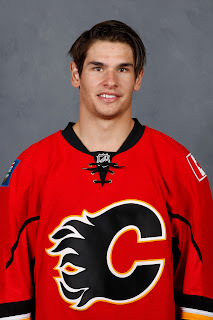 An interesting observation with Monahan is believe it or not, he never put up more than 78 points during his three-year major junior career with the Ottawa 67's. Meanwhile, he's working on back-to-back 62-point seasons in the NHL and is only 21 years old. Bred to be a pro, apparently. Everybody is well aware that Gaudreau and Monahan are both in need of new contracts next season. Everybody is also acutely aware that they are each going to get very lucrative deals when they finally get signed. It's going to cause a whole heap of salary cap issues for the team, which also needs to find a No. 1 goaltender and sign a new deal with other free agents such as 18-goal scorer Joe Colborne. However, having so much young skill on a team is a collection of riches this organization is not very familiar with. While it's taking some time to get used to, it's certainly a refreshing change. With Bennett just getting started and perhaps another young star in the making about to be added in the 2016 NHL Draft, it's easy for those that support the team to be optimistic that Calgary has the right pieces in place to be a very good team for a very long time. Now they need to surround them with affordable talent, find a quality puck stopper and then sit back and watch this team grow up together and flourish. If all goes according to plan, a few years from now it will be the Flames that will on top looking down. Calgary could be the Kings of the Castle. Considering LA's collection of championship jewellery, that's not a bad goal to strive for. Obviously this highlights their offensive capabilities of this young group and there's more to being a good hockey player but they also say the hardest thing to do in the NHL is score goals so if you can start with that and teach the other stuff and find players to surround them that are good two-way players, it's a great foundation, that's for sure. Colborne has upped his trade value quite nicely, but I am not 100% sure he can put up these type of numbers again. It's a great point. Many viewing Colborne's year as one that could cripple the team financially, but the optics from afar are pretty alluring. Big guy, first round pick, getting better every year. Maybe he is a piece that helps get that sought after No. 1 goaltender. Two comments. I love all these young Flame players but am concerned that in a playoff situation they may not be rugged enough to play against the big boys. 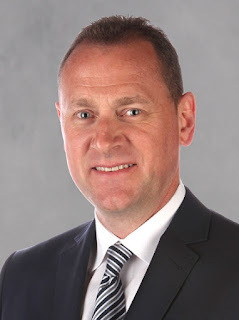 And, if the Flames didn't have Colborne, wouldn't they be looking for a 6'5'' 225lb. player who could score 15+ goals. Why not get rid of some of the overpaid players and keep Colborne? If Colborne can score 15+ goals regularly, you're right. But I think the skepticism is around can he do it again? Or is more of an 8-10 goal guy that got fortunate this season with pucks off stanchions, deflections off his leg, empty netters, etc. The other angle is the Flames do need to bring in a goalie and maybe Colborne's value is highest as a trade chip. If we could shake the magic 8-ball and see what the future holds for Colborne, that could help set the future direction for him. Instead, there will be a lot of pondering this summer, can he score that many again or was this a one-off? Ideally, you want to see him do it one more time before deciding but the issue is his contract is up after this season. It's an off-season storyline to follow, for sure.